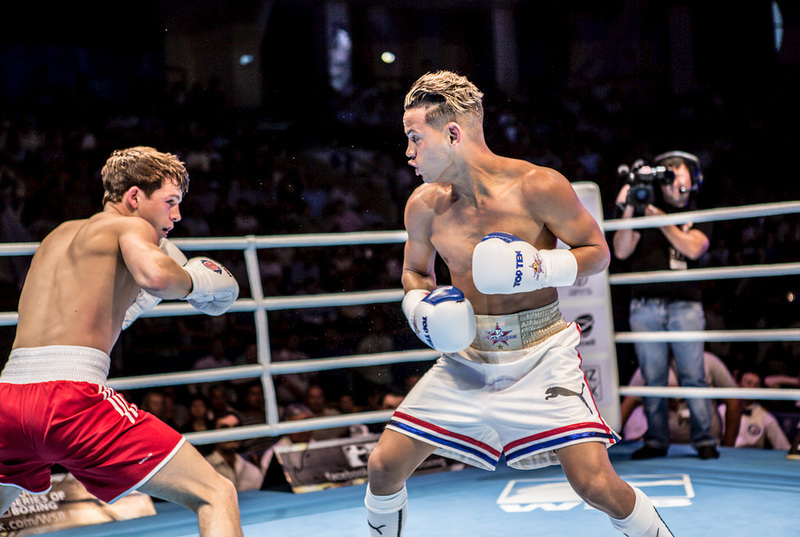 In the beginning of June, the Cuba Domadores went up against the British Lionhearts for the final match of the World Series of Boxing (WSB). The Domadores (or “Ringmasters”) beat their opposition 9-1, with the Lionhearts only earning one consolation point. A few months afterwards the Cuban boxing team went on to dominate at the Summer 2016 Olympics, earning a boxing medal count that was double the US’s and second only to Uzbekistan’s. While Cuba is often known for baseball, its recent wins in world boxing arenas also highlight the country’s long-running tradition of superior amateur athletics. This was the second time in three years that the Domadores have taken home the WSB trophy. In 2014 they also secured the championship win, and last year were runner-up to Kazakhstan. They consistently dominate the boxing scene in the Americas, winning 6 of the 13 gold medals earned in boxing at the most recent Pan Am Games in 2015, and having won 19 of the last 30 gold medals before that. Since 1972 Cuban boxers have also conquered in the Olympic Games, winning more gold medals than any other country, even despite having been absent for the 1984 and 1988 Games in support of the Soviet bloc boycott. According to both Time and BBC, Cuba has the most successful amateur boxers in the world. Why are they so good? The truth is that an interesting combination of restrictions and support by the Cuban government has created a unique environment for Cuban boxers. Because he did not believe professional sports players could have a place in a successful Marxist society, Fidel Castro banned professional boxing in 1962, and this ban lasted until three years ago. Unable to go pro, Cuba’s best boxers were largely limited to international tournaments such as the Olympics. Conversely, the government does everything it can to support young amateurs. Since Fidel has been interested in promoting sports as a big part of culture, the state funds first-rate schools to train boxers, strict as military boot camps and highly disciplined. Children who appear talented are identified at a young age and brought to the schools, where their skills are honed for years. Boxers who go through these schools come out lean with broad shoulders, in top condition. It’s said that they always look bigger than everyone else in their division. This is because rather than aiming for higher weight classes, Cubans try to slim down in order to squeeze all their power into a lighter weight class. Another contributor to Cuban amateurs’ historic success is that until the recent abolishment of the professional boxing ban, Cuban boxers had no option but to remain amateurs their whole careers. They spent years gaining experience that other international amateurs didn’t have. Like all other Cuban sports, as well as in businesses such as dance and art, Cuban boxing faces a challenge that has affected the country since the Revolution: defectors. Many talented young people leave Cuba in order to find better opportunities to use their skills—in the case of boxers, to find jobs that will pay them to box professionally. However, Cuba is hoping that lifting bans on professional sport can help reduce defection. As relations with the U.S. continue to normalize, and Cuba catches up to the rest of the world in terms of the money and resources it can provide pro sports players, defecting will decrease even more. Though I left Cuba before this summer’s victories, the time I spent there showed me how much impact the sport has on the country. Friends of mine were so invested in the sport that they would fight over tickets every time there was a big match. Boxing is one of the few platforms on which Cuba can and does dominate on an international scale; as such, Cuba’s spectacular boxers are an integral source of pride for the country as a whole. “Barry McGuigan explains Cuban boxing success.” BBC. 18 Apr. 2013.
. “Cuba Beats UK, Becomes Boxing World Champion—Again.” Telesur. 4 Jun. 2016. “Cuba ends ban on pro boxing.” Associated Press, ESPN. ESPN, 26 Apr. 2013. “Cuba: The New Boxing Superpower.” History of Cuba.com. 2016. “Three more Cuban boxers quality to Rio Olympics.” Cuban News Agency. 20 Mar. 2016. Erin Barton is a senior at the University of Pittsburgh. She is an intern for Panoramas and studies English Writing, Spanish and Latin American Studies. Erin studied in Cuba for 4 months during the spring of 2016 and has been writing on Cuban and Latin American issues for Panoramas since 2015.